Palm oil used in supermarket products is not fully traceable despite it being called "100% certified sustainable". 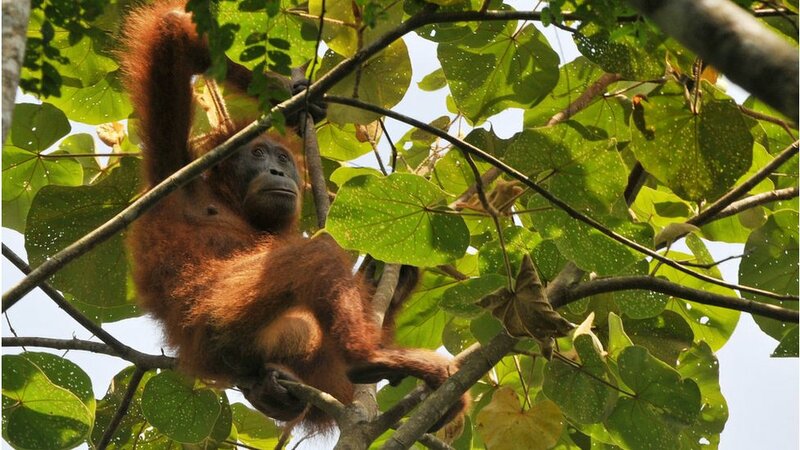 Research by Radio 4's You & Yours found Tesco performed the best, yet only 67% of its palm oil can be traced to its source. The rest is mixed with regular palm oil or is covered by credits that contribute to developing sustainable production. The body that certifies palm oil defended the practice. Palm oil is the most commonly consumed vegetable oil on the planet but it is controversial because so many forests have been cleared for its production in countries including Malaysia and Indonesia. In 2018, the supermarket Iceland announced that it would stop using palm oil altogether in its own-brand products. That proved more difficult than it thought and Iceland now says that work should be completed by April 2019. All the UK's other major supermarkets use palm oil certified by the Roundtable on Sustainable Palm Oil (RSPO), but it has four types of certification which are not obvious to consumers. You & Yours asked nine supermarkets for the percentage of palm oil in their own-brand products that was at least segregated, meaning it was fully traceable to sustainable sources. Of the six supermarkets that responded, Tesco used the most with 67% segregated palm oil, closely followed by M&S with 66%. Co-op Food was 59% and Sainsbury's 56.9%. The supermarkets that had the lowest amounts were Asda (50%) and Waitrose (which also had 50%). Waitrose also used significantly more credits than any other supermarket in 2017, with 28% of its certified palm oil being covered by the credits scheme. The company says due to "improved processes" it has identified more products containing palm oil so has purchased extra credits while it works with suppliers to "certify their ingredients". Morrisons, Aldi and Lidl did not provide the data requested. The Roundtable on Sustainable Palm Oil said the mass balance and credit models are good ways of supporting smaller growers who do produce sustainable palm oil but have to sell it into the wider supply chain where it will be mixed with other products. "It's contributing to the production of sustainable palm oil," said Dan Strechay, the RSPO's director of global outreach and engagement. "What we want [the supermarkets] to do is communicate to the consumer that they're working towards changing the industry because it isn't going to happen overnight."